They’re two of the most basic bread machines at the lowest price. Which one gives you more for less? If you’re buying a bread machine for the first time, you may be a bit shy about spending a lot of money. That’s probably a wise choice. 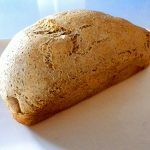 Until you know you’ve determined your bread baking frequency and your satisfaction with bread-machine bread, you should take a balanced approach. These two machines can give you a good head-start on bread machine baking without breaking the bank. Both of these machines are relatively light in weight. 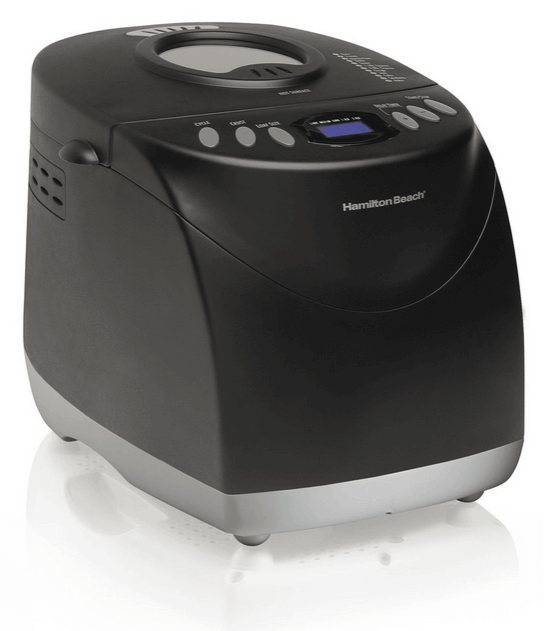 At a little over 12 pounds the Hamilton Beach is one of the lightest bread machines and that has some limitations. 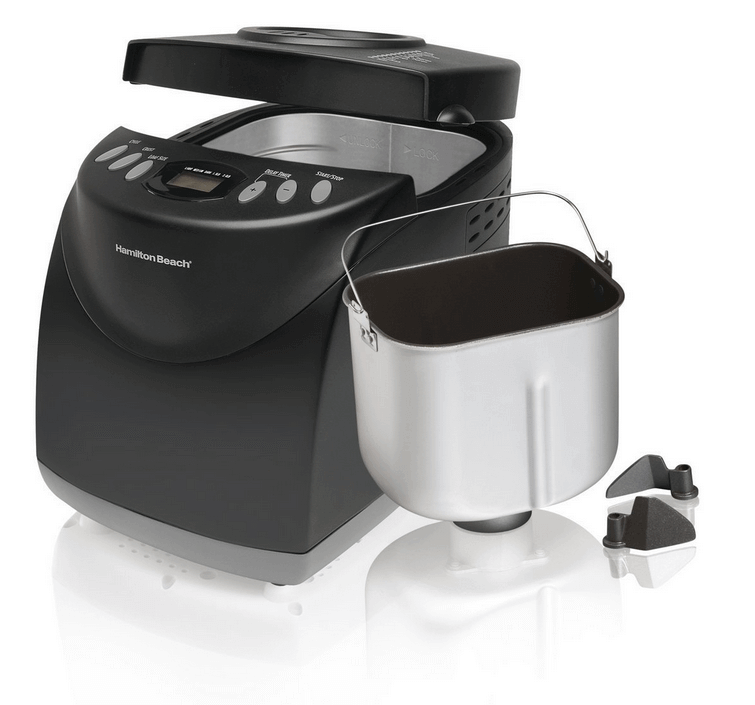 Many owners say that the Hamilton Beach will actually “walk” over a countertop during the kneading cycle and some have stated that the machine has fallen off the countertop. The heaviest machines get up to 25 pounds and don’t have this problem. The Panasonic weighs in at around 15 pounds which is also a bit light for a bread machine. Both of these machines have fairly limited features relative to other machines with complex options like fruit and nut hoppers and multiple settings but they can still handle a variety of bread making functions and deliver a consistent and quality loaf of bread. Both machines offer vertical loaf configurations, a single, fixed kneading paddle and a limited set of cycles. The Hamilton Beach actually has a gluten free setting which is unusual for a value priced machine, and the Panasonic has an automatic yeast dispenser. This is the only machine we have reviewed with this yeast dispenser feature and the benefit is dubious. 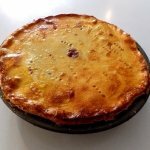 Every recipe we have listed on our website simply recommends that your dust the top of the flour in the bread pan with yeast and we have always had great results. 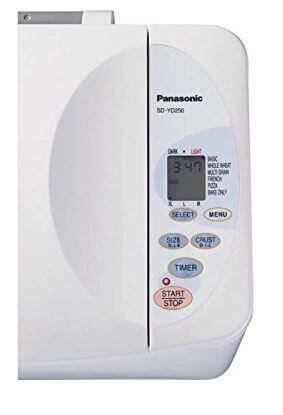 To make matters worse, many owners have complained that the Panasonic yeast dispenser has failed to dispense the yeast and the amount of yeast it will hold is limited if you want to knead and bake a larger loaf. The Panasonic also omits a feature that is common on most bread machines. It does not have a viewing window in the lid. Panasonic claims this allows for better temperature retention, but if that’s such a benefit why do most bread machines have a viewing window. Our suspicion is that’s simply a rationale for the lack of a viewing window which would allow you to assess progress across cycles in the machine. Both vertical bread pans have a non-stick coating described as Teflon and bake loaf sizes from 1 to 1.5. to 2 pounds although the Hamilton Beach can also cook a 2.5 pound loaf. That’s unusual for a vertical loaf and if you over do it on the yeast you may have a loaf rising up and sticking to the lid. We have identified a chronic pattern of complaints about recipe books for a variety of manufacturers. Some of the complaints and mistakes are stunning with incorrect ingredient measures, measures in weights rather than cups or spoons or simple difficult to understand with limited recipes. Hamilton Beach seems to have broken the mold and their recipe/instruction book has received excellent reviews and comments from owners. It’s good to hear that a bread machine manufacturer finally rolled up their sleeves and got an instruction book right. The Panasonic instruction book elicited no responses one way or the other which in the category of recipe books for bread machines is probably a good thing given the past history of complaints. The Panasonic has 6 settings while the Hamilton Beach has 12 settings. This may be the most significant difference between the two machines, particularly when you consider that the Hamilton Beach averages $50 less than the Panasonic. The 12 settings on the Hamilton Beach includes gluten free and settings for jams and jellies that the Panasonic lacks. 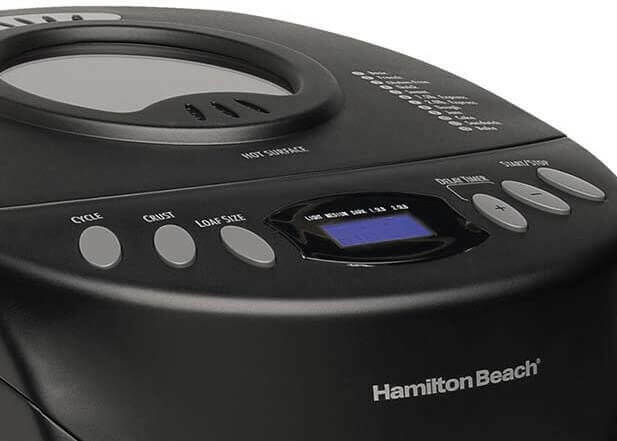 Hamilton Beach received high marks for support from the manufacturer and the ability to by spare parts. Panasonic also received relatively low marks for general support and there was a pattern of complaints related to the difficulty of buying spare parts such as replacement kneading paddles. Both machines offer a 1-year limited warranty and are available in one color. That Panasonic is white and the Hamilton Beach is Black. If I was buying a bread machine for the first time and wasn’t sure about my continued interest or use of the machine, I would go with the Hamilton Beach. 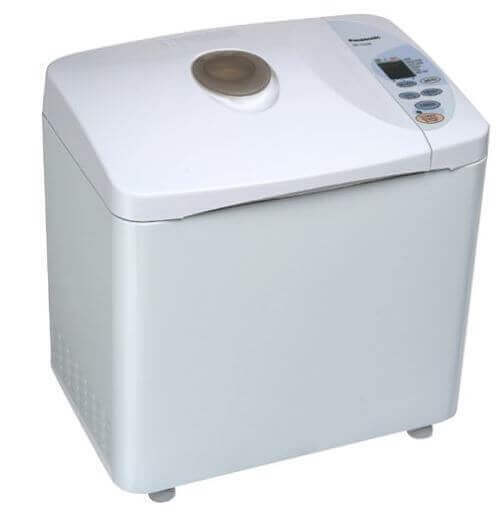 It is the lowest cost bread machine we have reviewed with numerous features including its 12 settings. It also helps that its instruction book is so well written which is a plus for a beginning bread maker. It also has the benefit of a viewing window and the opportunity to explore jams and jellies as a cycle. The one downside is its weight. Keep an eye on the machine during the kneading cycle so it doesn’t “walk” off the counter especially if you’re baking the larger 2.5 pound loaf.